Physical symptoms and verbal complaints by patients are important paramagnets for diagnosis of human by physician. Hand used to prove a very important tool for disease diagnosis form the ancient time. Lot of work has been done by ancient Rishis and vaidyas for identification of diseases. The references have been given in Vedas and Samudrik Shastra. The shape, size, colour, fingers, nails, mouth, ridges, lines etc. give indication for the present and future ailments. 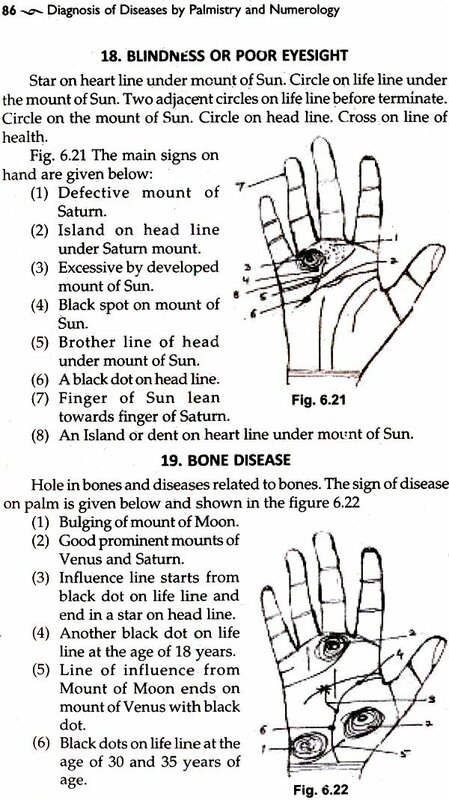 Live medical science, Medical Palmistry is an observatory science and differs form man to man and time to time. Perfection can only be attained by practice. 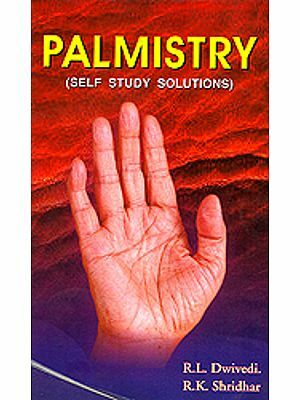 Palmistry can be very helpful in speedy identification of disease for the benefit of human beings. 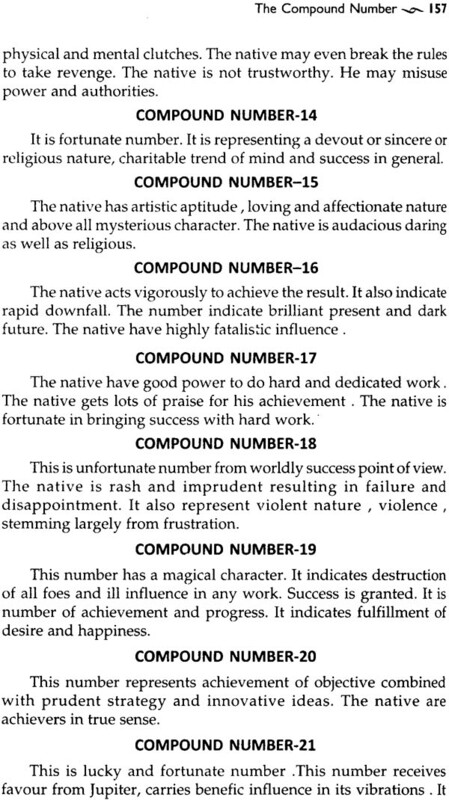 Every number has a particular sound. The birth name alphabetic can be converted in to talent number, Destiny number, Personality number, Birth number, etc. 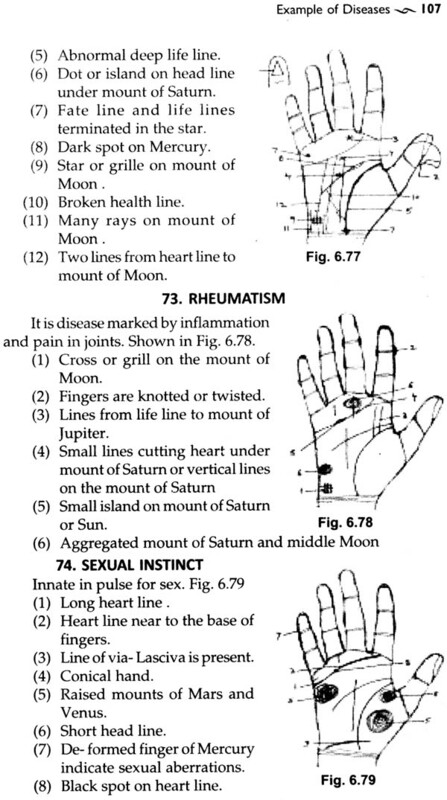 for practice use in diagnosis of human disease, Efforts have been made to describe the methods for diagnosis of human disease by palmistry and Numerology. Efforts have been made by authors to explain the text useful in brief and simple language. Hope that this book would be very useful to every person. This unique work has opened a new vista research for diagnosis of human disease. Author is Bio-environmental Scientist and Administrator. He is an Advisor to Govt. of India, national Fisheries Development Board and also worked as Director Fisheries to Govt. of Punjab State and Haryana State. 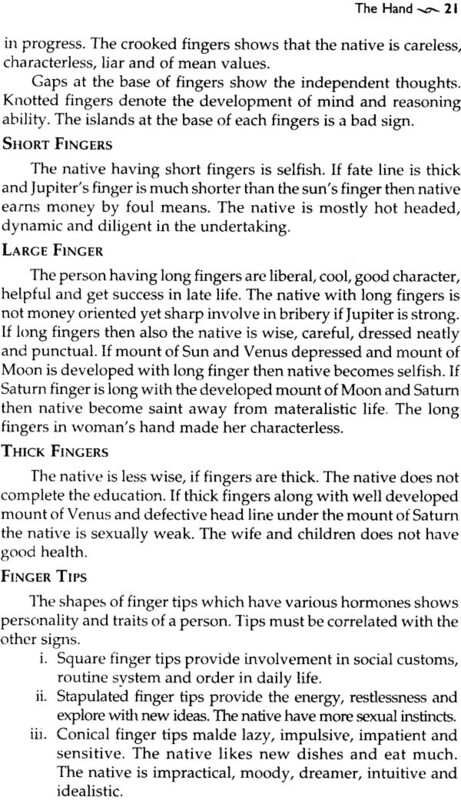 He is an author or five books out of which two are an astrology and palmistry. He was student of Astrology, Palmistry Vastu of Bharatiy Vidya Bhavan, Chandigarh and Indore. 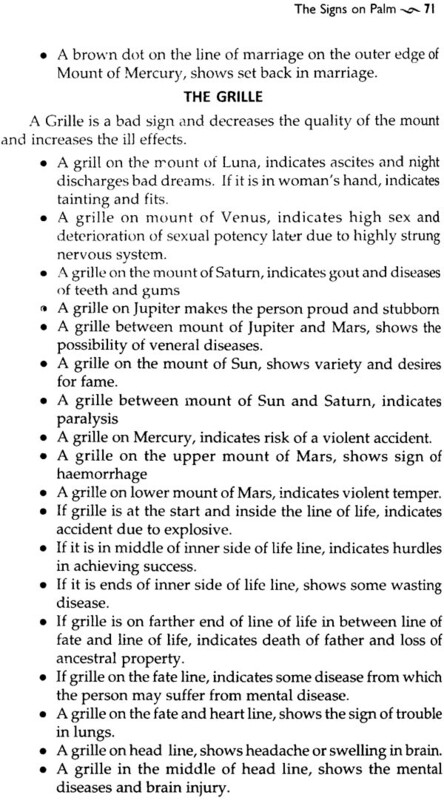 He is practicing astrology for the last thirty years, specially on Medical Astrology. The palm is the part of human body from wrist to the tip of finger. 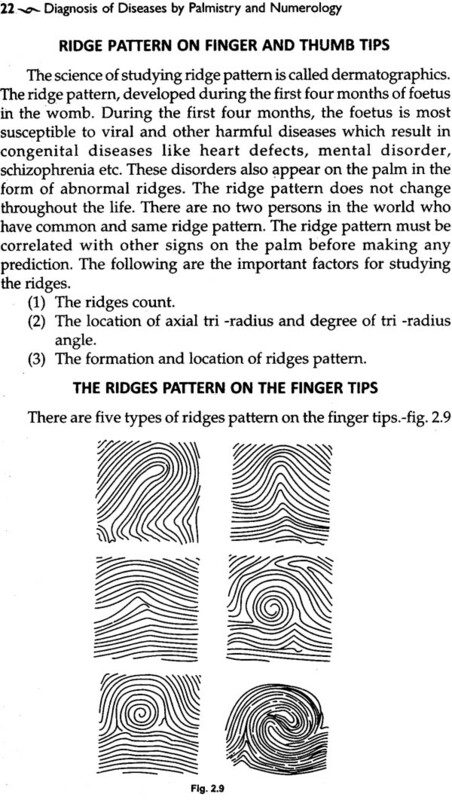 There are many ridges, lines, signs and markings on the palm which are good indicators of coming events. 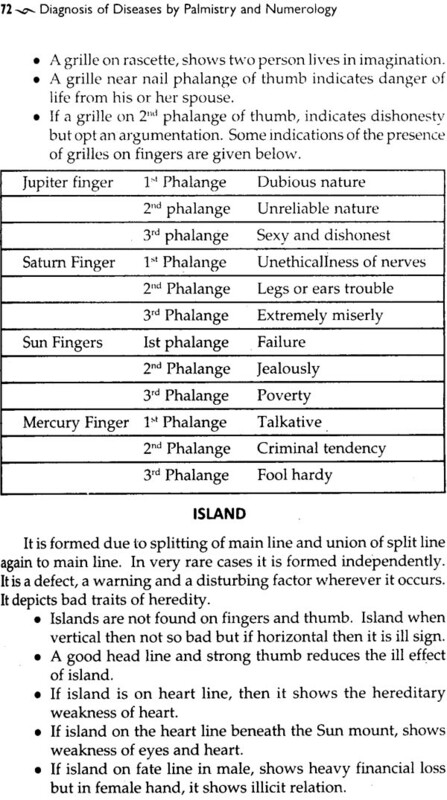 The science of hand reading is known as Palmistry. The palm and impressions differ from man to man. No two hands are alike in the world. Most probably the skill and science of hand — reading originated in India and its traces are found in Aryan Civilization. Ancient Hindu sages and rishis like Narad, Garga , Bhardawaj , Parasar , Atri , Agastya and Kashyapa contributed a lot to Samudrik Sashtra and Hasth Sanjeevani. The Indian technique of hand —reading spread to China, Tibet, Egypt, Persia, Greece and Europe by about 5000 B.C. In recent time, the scientific study was made by Dr. Henry Faulds (England, 1880) and Adolphe Desbarrolles (Germany, 1801-06). 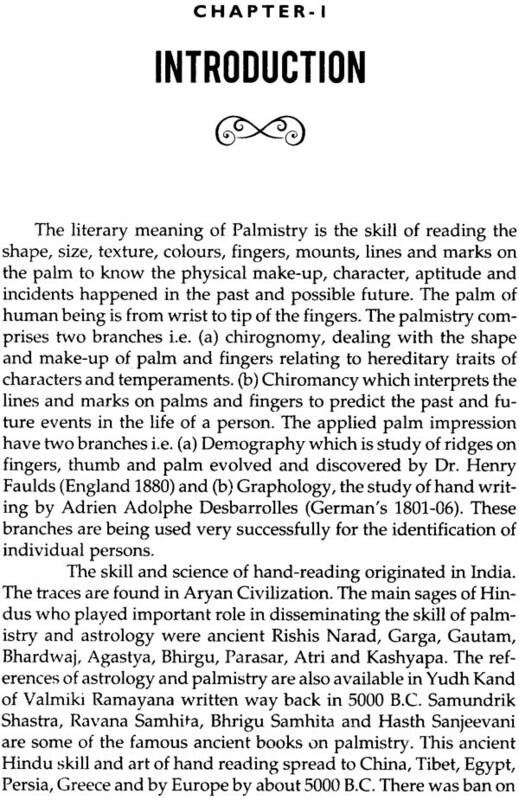 The first book on Palmistry was published by Prof. Hartillieck in 1475. 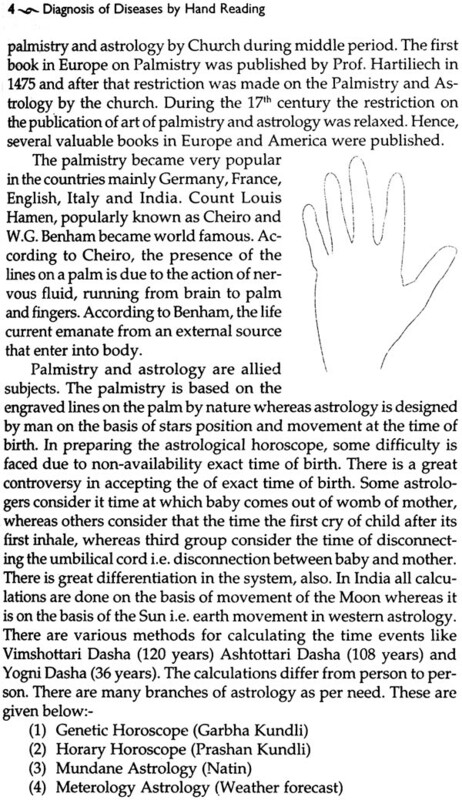 During 17th century many books on Palmistry, Astrology and Numerology were published in Europe and America. 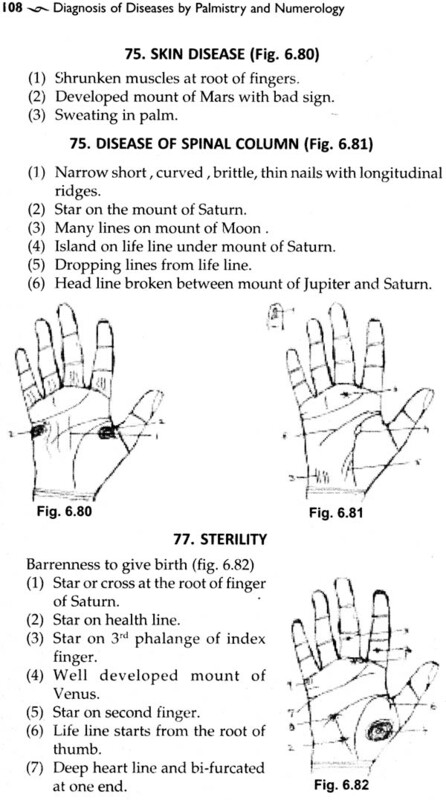 Palmistry, Astrology and Numerology are allied subjects. 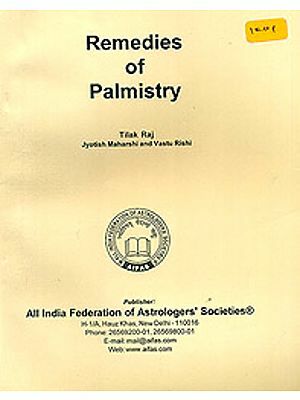 Palmistry is based on the impression and lines engraved on hand by nature whereas Astrology and Numerology are designed by man on the basis of movement, sound and vibrations by the planets. The predictions for future should be used very carefully. All predictions do not always come true. Even in medical science the diagnosis is not always right or confirmed even after several preliminary as well as pathological tests. No medical practitioner can give guarantee to cure the disease in advance. It is universal fact that man does not know any matter completely because of some factors beyond the reach of man. 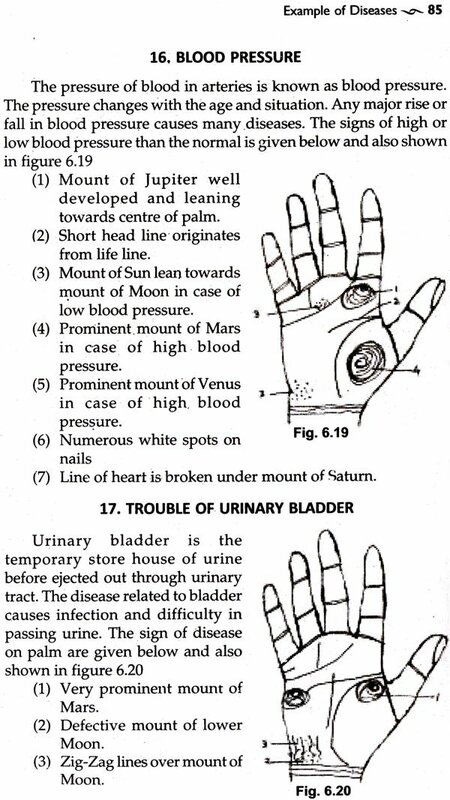 The basic aim of medical palmistry and Numerology is to give indication about the status of health in future and to take precaution for maintenance of health. No sooner the disease makes its way into the human body, the hand starts showing abnormalities and susceptibility of particular illness. There is no line on palm in case of Nigeli syndrome, Demotopetrnia pigmentosa and reticulates disorders diseases. In that case numerology can play an important part. The main events are known by numbers or alphabets. 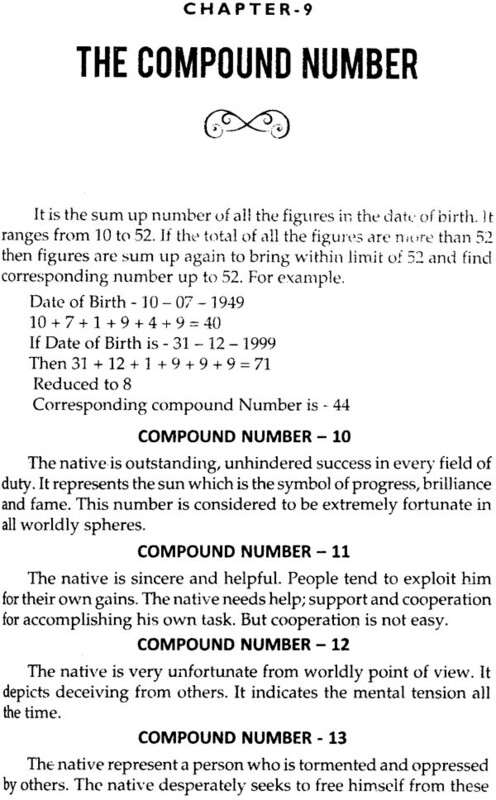 The description of number is also mentioned in Vedas which are called the voice of God. The numbers have remarkable significance in predicting health issues. Significance of numbers is clear as there are 7 numbers of seas, 7 notes of music, 7 colours, 7 days, 7 famous rishis, 7 wonders of the world. Rome is surrounded by seven seas, seven circles around the fire and seven commitments by the couple in Indian marriages. Similar is the case with number 13. Aryabhata (India) and Pythagoras (Phoenicia) advocated that every planet has a particular sound and vibration of its own. According to them every sound has a peculiar number. This sound is referred to as Logos in the Bible, Aum in the Vedas and Kalma—Hlahi in the Koran. The sound of medication is found in all the religions. Efforts have been made in this book to describe various types of signs and impressions on palm to foretell about the health of a man. This book is not only based on the findings and discoveries of previous writers but I freely used my experience and observations to clear the issues. This book has been divided into two sections and each section is divided in chapters. 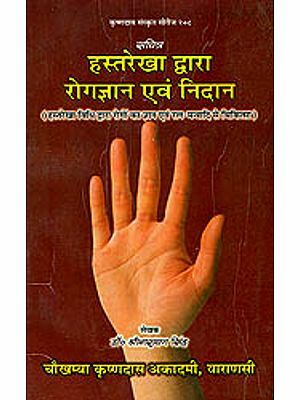 I convey my thanks to various authors who have made attempts in writing over the subject on medical palmistry and numerology. I am very thankful to all the members of my family for their help. I am also thankful to my wife Smt. Sushma Agarwal for providing assistance and my grandsons Ritvik and Ruhan to make me happy during stress. I also convey my thanks to Shri A.L. Jam Publisher, Alpha Publication for publication of this book.